Page Music Voice Student performs at Fenway! 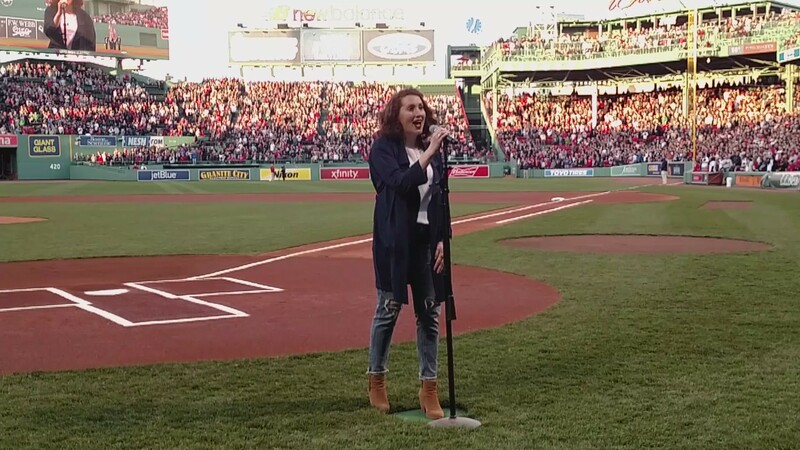 Congratulations to Meghan B. on singing the national anthem at historic Fenway Park! Meghan is a voice student at Page Music Lessons, working with voice instructor Meghan Zuver. 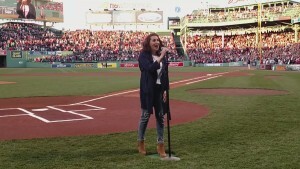 Her performance was in front of a packed house on a Saturday night, and it was a Sox/Yanks game no less! Awesome job! More evidence that music rules! Massachusetts Institute of Technology researchers have devised a radical new approach to brain imaging that reveals what past studies had missed. By mathematically analyzing scans of the auditory cortex and grouping clusters of brain cells with similar activation patterns, scientists have identified neural pathways that react almost exclusively to the sound of music — any music. We love music. So for the staff and instructors here at Page Music Lessons, it makes complete sense to incorporate more music – and music education – into our new year’s resolutions. But here’s an interesting take from a Chicago Tribune writer, and piano hobbyist, about adding piano lessons to her life in the new year. Stop looking back… and get started! We are open for all confirmed lessons on Columbus Day, October 12. See you then! Those piano lessons might not turn your kid into the next Rachmaninov, but they are still likely to pay off later in life. New research from Michigan State University shows that children who participated in arts and crafts activities as children were more likely to generate patents and businesses when they grew up. I love summer. Even the music sounds better. It’s a great time to spend a little extra time with your instrument, as hopefully your work hours or your school work have slowed down a little. So grab your guitar (or other instrument of choice), head to the back porch and shed a little. Gain invaluable experience playing in front of parents, teachers and other students at our Music Nights. Check out our Event Calendar for upcoming events.